Initially ownerd by Com. Dario Salata, Giorngio Cavallo and Piero Sada, she raced "Settimana di Genova" (Genoa, 8-15/03) and "Coppa Beniscelli" (Alassio, 29/4-3/5) in 1964 with not brilliant results. Later owned by Piero Sada in Anzio used for pleasure cruising till 1975. Abandoned till 1988 Nereide was then moved to Lake Como and restored by Paolo Alfonso Sada (Piero's son). 1995 - Classic Week in Santa Margherita Ligure (1st), Cassic regattas in La Spezia (1st) and Coppa Bellano Storia (1st). 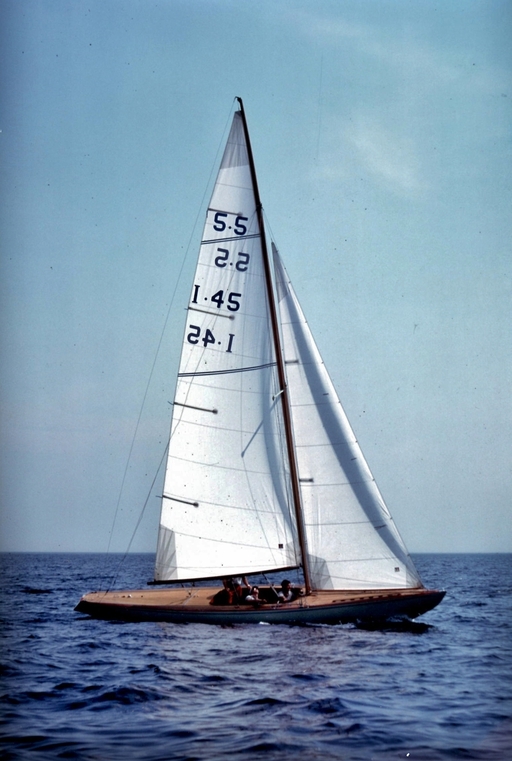 Dario Salata was a designer and italian sailmaker, he was even a grat sailor and he was at the Olimpic games in Helsinki 1952 with the 5.5m Mirtala. Velscaf was the shipyard where Com. Dario Salata that buid Nereide, it's located in Carasco near Lavagna (Ge), Italy.